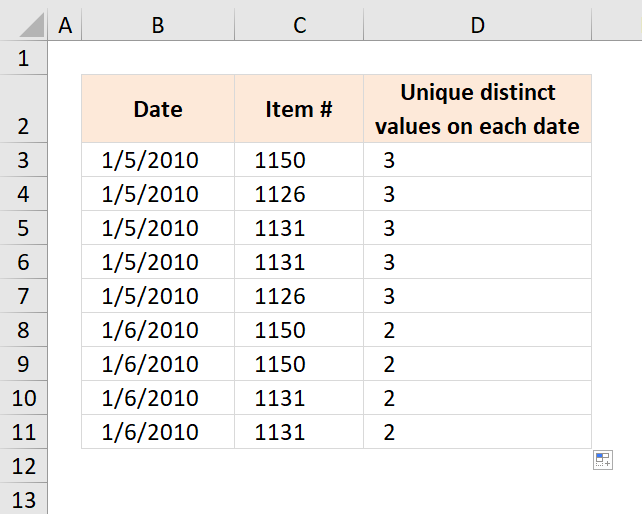 The array formula in cell D3 calculates the number of unique distinct items based on the given date in column B. 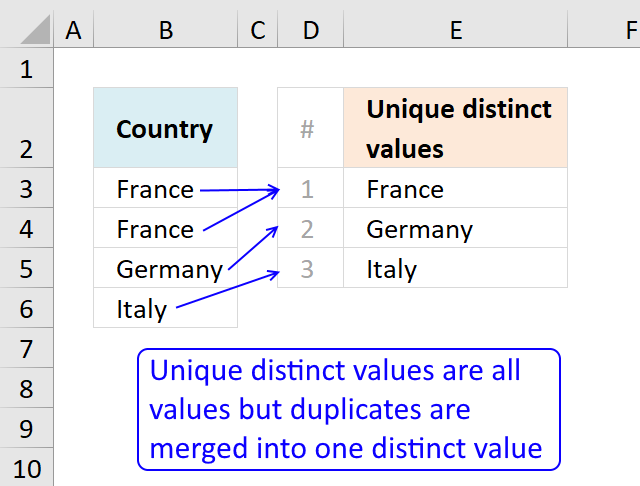 Unique distinct values are all values but duplicates are merged into one value. 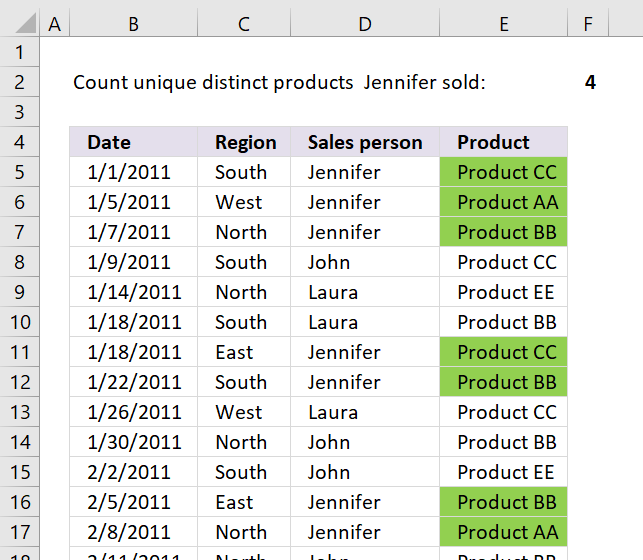 Example, there are five items on date 1/5/2010 in the table above. 1150, 1126, 1131, 1131 and 1126, however there are only three unique distinct items 1150, 1126 and 1131 and that number is what the formula returned in cell D3. Copy cell D3 and paste it down as far as needed. The COUNTIF function counts values based on a condition or criteria, in this case I use the ampersand to concatenate a less than sign. 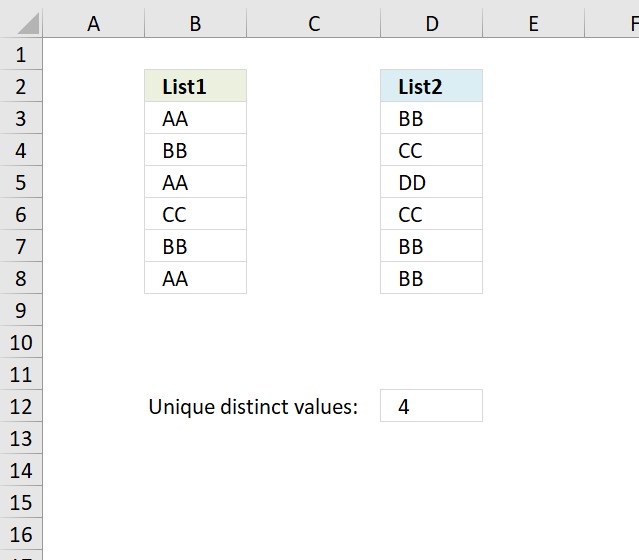 This will return a number representing the rank in an alphabetically sorted list. 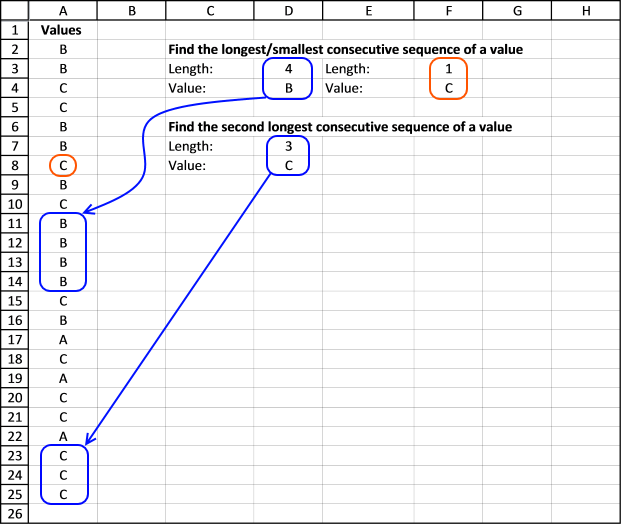 The FREQUENCY function calculates how often values occur in a range. Step 4 - Is number larger than 0 (zero)? The value is unique distinct if the corresponding number in the array is larger than 0 (zero). The SUM function can't sum boolean value so we must convert them into their numerical equivalents. 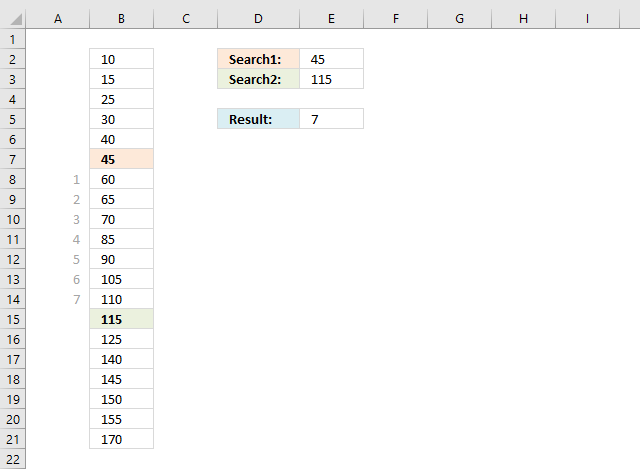 The SUM function adds numbers in the array and returns a total. 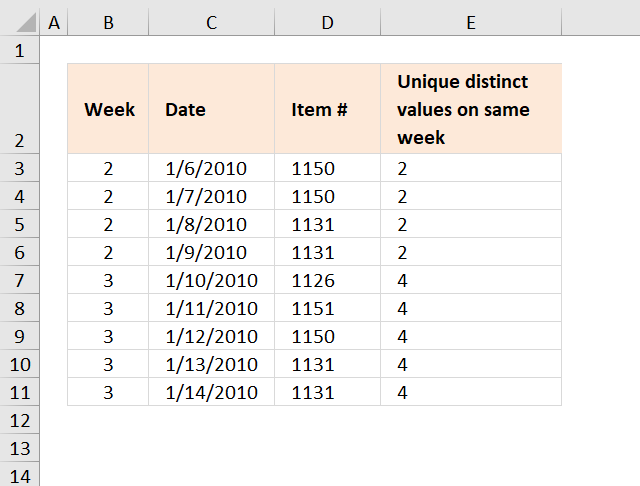 How would I modify this formula to then allow me to filter another row of data? For example, if there was a yes / no entry in column e, that would then further pair down the entries from 3 to between 3-0. Is it possible to do this with this formula? 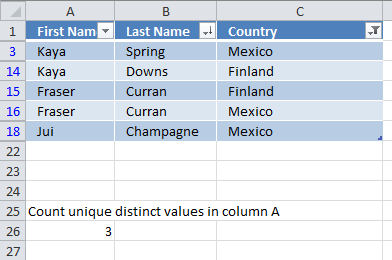 The formula works great for counting the unique occurrencies based on two columns, but I would like to add a third column requirement that I can move around to then filter information as needed. 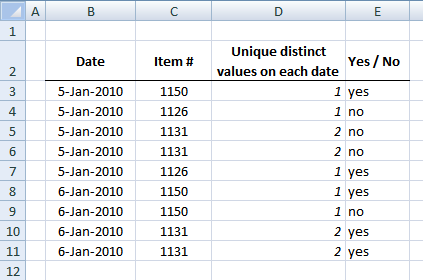 Is there a way to subtotal the unique distinct values on each date with counting each date only once?